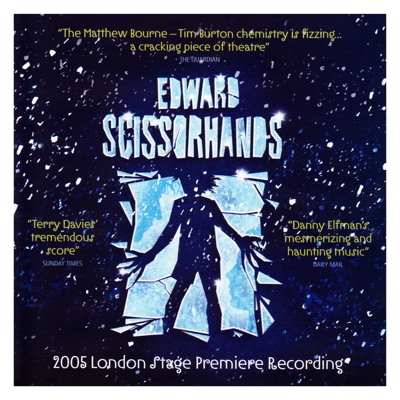 Music by Terry Davies and Danny Elfman from the 2005 London Stage Premiere production of the Matthew Bourne ballet based on Tim Burton's film of Edward Scissorhands. In 1990, film director Tim Burton created a character for Johnny Depp that touched the hearts of millions. Now, through the magic of Matthew Bourne, Edward Scissorhands is back to make your spirits soar. This enchanting, uplifting, record-breaking stage adaptation of the classic motion picture swept UK and US audiences off their feet, turning a film favourite into a theatrical triumph. 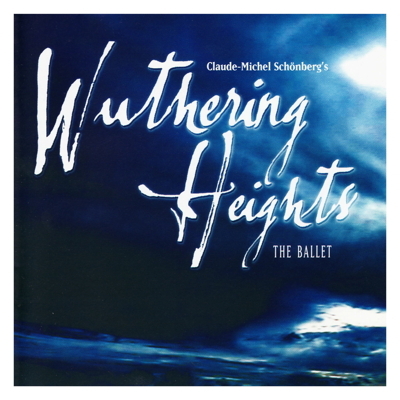 Following in the footsteps of his smash-hit Swan Lake, multi-award winning director/choreographer Matthew Bourne uses music, movement and stage magic to tell the story of a boy left alone and unfinished by the eccentric inventor who created him. A magical fairytale. A moving love story. A major stage spectacular for the whole family.